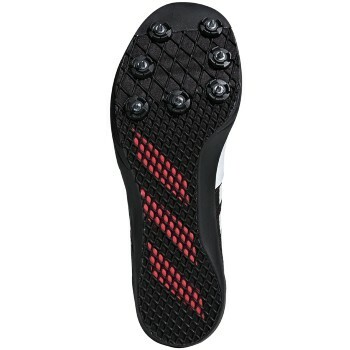 These long-jump spikes are built low to the ground to optimize efficiency. They have a synthetic upper with a breathable mesh midfoot and heel for lightweight comfort. The sharkskin-textured outsole with a seven-spike configuration in the forefoot delivers reliable grip in all conditions. The shoes are very comfortable. Good product!